Re-grouting the wall or floor tiles in a shower, shower room, bathroom or kitchen was one of the worst jobs there is. The old grout had to be raked out to a certain depth, then the new grout had to be mixed and applied. Now the old grout stays exactly where it is, is cleaned down a little and the new Grout Shield Grout Restoration System does the rest. It is a unique product which will be very popular with both home-owners wanting to spruce up their bathroom or shower room and the trade tilers for whom regrouting bathrooms has been a nightmare. We took the Grout Shield Grout Restoration System into a couple of bathrooms to see just how it worked. The results were excellent and you can see how and why by reading the full review below and watching the Grout Shield video at the bottom of this page. Let’s have a look first at what happens in the shower or bathroom to make the tiles so dirty. Shower and bathroom wall tiles get stained, over the course of time, with gallons of dirty water flowing over them day by day. The dirt itself, plus spores of mould get into the grout. The process starts with mild discolouration which starts by going a little beige, then a bit browner until, before we know it, they are full on black! Before Grout Shield, the only solution was to rake, or scrape out the old, dirty grout, and replace it with a new grout mix. 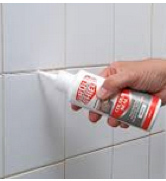 Fortunately with the new Grout Shield Restoration System, this method is a thing of the past. Raking out grout is a particularly difficult and horrible job. 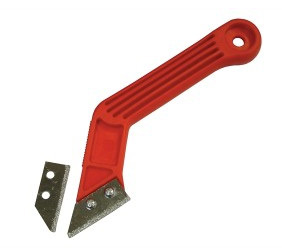 Usually a Grout Rake tool is used. 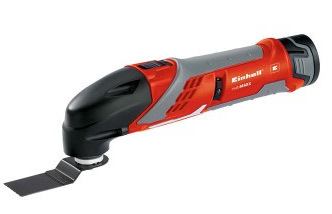 This tool has a small, steel blade with fine carbon grit stuck to its edge. 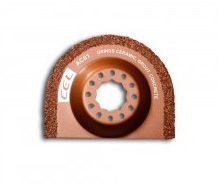 The carbon literally wears away the grout as you rub it up and down in the grout joint. You can see a video on how to use a grout rake here. Of course, it was not long before people started to realise what a horrible job this was and their minds started to work on alternative solutions. It is possible to use a multi tool, with a carbon or diamond blade, to remove the grout from the wall and floor tile joints mechanically. However, one slip of the blade and the tile is ruined. It is then quite another job removing a tile from a bathroom or shower room wall! 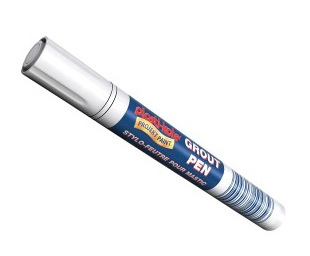 Then the Grout Pen was invented. This was amazing as, after a quick scrub of the tile joints with bleach, you could simply draw nice new white grout lines on. However, as the “ink” within the grout pen was simply applied on the top of the existing grout it did not actually become part of the joint, it just sat on top. The result of this is, that after a few showers, the new grout covering just washes off. Back to square one! 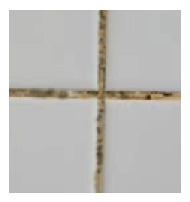 Unlike grout pens and other paint on grout restorers, Grout Shield actually chemically bonds with the existing grout to make sure it stays in place. It is not a colour sitting on top of existing grout lines, it is a colour which has actually bonded with the grout underneath. Grout Shield can last up to 10 years, regardless of how many showers and splashes the wall and floor take! It is important these instructions are followed. Grout Shield relies on a chemical process to work properly and longevity will depend on how well these simple instructions are followed. You can see the process in action in the video below. Make sure the nozzle of the colour seal is clear and, doing one or two grout lines at a time, squeeze the colour seal out of the bottle into the joint in a long thin smooth line. Do not allow too much to come out, it should not “blob” and with a little bit of practice you will be able to get a nice thin line of colour seal into the joint. Obviously the larger the tiles, the less number of joints there are. The following table shows you the coverage you can expect from a bottle of Grout Shield colour seal. One of the most universally accepted facts in the building and plumbing industries is that raking out tiles and regrouting bathrooms and showers is a horrible job. Most of us will avoid it completely unless it’s the only job available! Grout Shield makes it easy! In three hours you can have a normal sized bathroom completely free from mould and dirt with the grout looking as if you have just tiled the wall. Three hours later, you can shower, knowing that the Grout Shield will not discolour for many years to come. It took me a while to get used to the idea, and to be honest I had to redo four of my grout lines, as I had got the grout everywhere, but after half an hour or so I had it cracked. Brilliant. 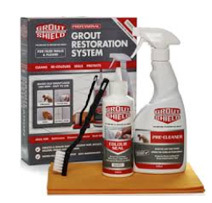 If you want to rake out grout and re-grout your bathroom or shower room after finding out about Grout Shield then, my friend, in my opinion, you are bonkers. Grout Shield will go on to be one of the best assets in a builders or plumbers portfolio, 5 stars all the way!